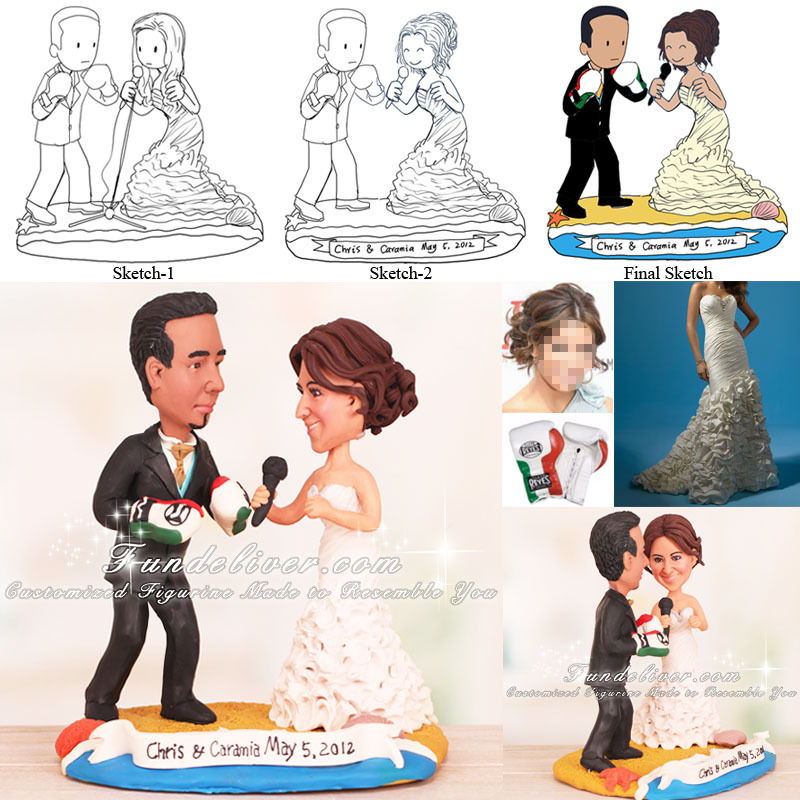 Boxer and Singer Wedding Cake Toppers [two custom figurines with background SKU: CC0378] - $308.00 : www.FunDeliver.com, We Deliver Fun! 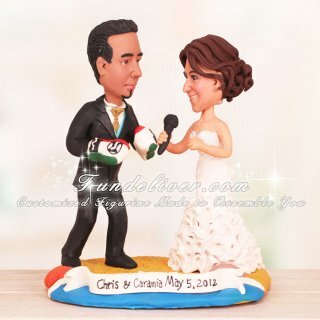 This is a completely customized boxer and singer wedding cake topper ordered by one of our customers. They love the boxer wedding topper idea because the bride is marrying her trainer who has been training her in boxing/kick boxing for 2 1/2 years now! They are getting married in Mexico and having a beach theme reception, so they would like the topper to have a beach theme base with sand and ocean. The groom is in boxing stance with Mexican boxing Reyes gloves on. He is also wearing a black tuxedo with pool blue vest and champagne colored Mexican style tie (like a scarf almost). The bride is wearing her wedding dress, and also in a boxing stance but holding a microphone, instead of boxing gloves.